Gene was the son of Oscar and Agnes Anderson. Gene grew up on a farm, in Molalla, Oregon with his brother and four sisters. He proudly served in the Army during the Korean War in a MASH unit where he obtained the rank of Sergeant First Class. After his service he attended the University of Portland. Subsequently he began working for Mansfield Tire company in Denver, Colorado where he met his future wife Dorothy. Gene and Dorothy married in 1962 in Denver and moved to the Bay Area, finally settling in Fremont where they have lived for the past 49 years. 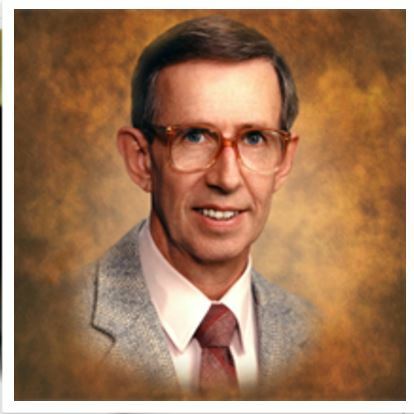 Gene was a Farmer's Insurance agent for 28 years. After retirement, he worked at Fremont Chapel of the Roses and Fremont Memorial Chapel for 24 years. He was a member of the Elks, Fremont Chamber of Commerce, Knights of Columbus, YMCA, and Lions Club, where he was a past president. He also volunteered for Meals on Wheels. Gene enjoyed skiing, golfing, scuba diving, traveling, and working out at the gym. Gene was an active parishioner of 49 years at Corpus Christi Parish in Niles. Gene is survived by his loving wife Dorothy and his children: Lynn, Craig, and Scott; daughter-in-law Tonee; granddaughter Oriana; and sisters: Helen, Margaret, Marilyn, and Joanie. Family and friends whose lives Gene touched are invited to a celebration of Gene's life on Saturday, November 5th, 1pm at Fremont Memorial Chapel, 3723 Peralta Blvd., Fremont, CA 94536. Inurnment will be at California Central Coast Veterans Cemetery in Seaside, CA. Donations may be made in memory of Gene to Corpus Christi's St. Vincent de Paul Society..